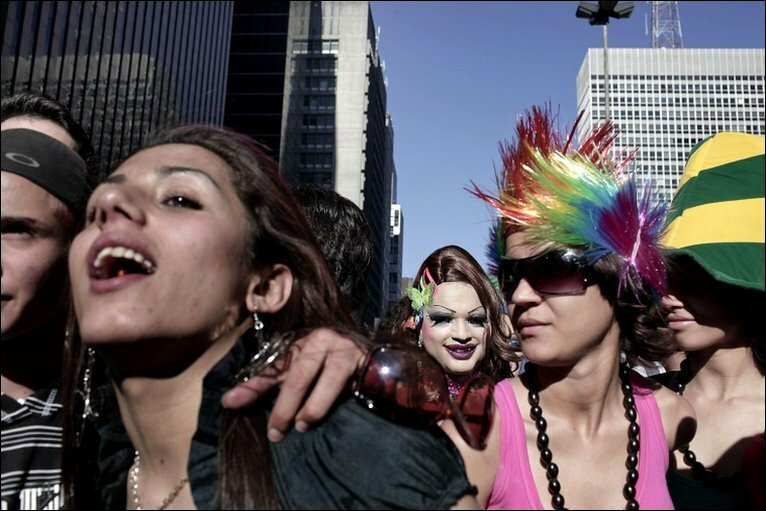 In Brazil, an estimated three million people have taken part in Sao Paulo's annual gay pride parade. 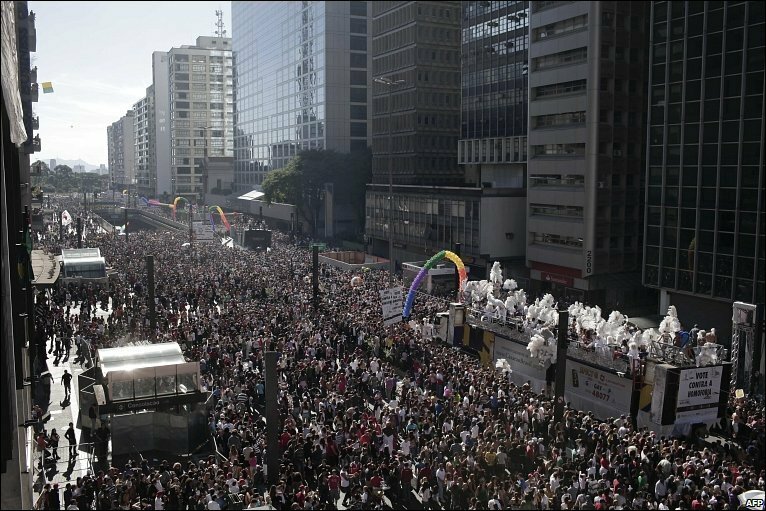 Crowds danced through the main avenue of Brazil's biggest city. 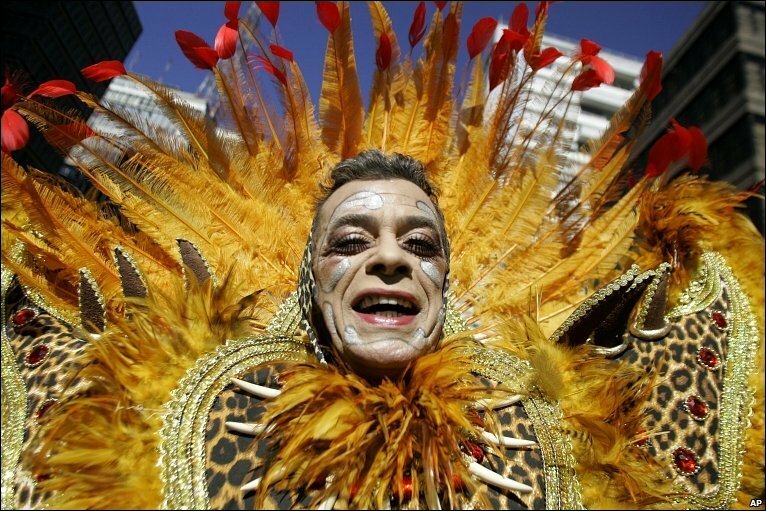 Many of those taking part paraded in carnival-style costumes. 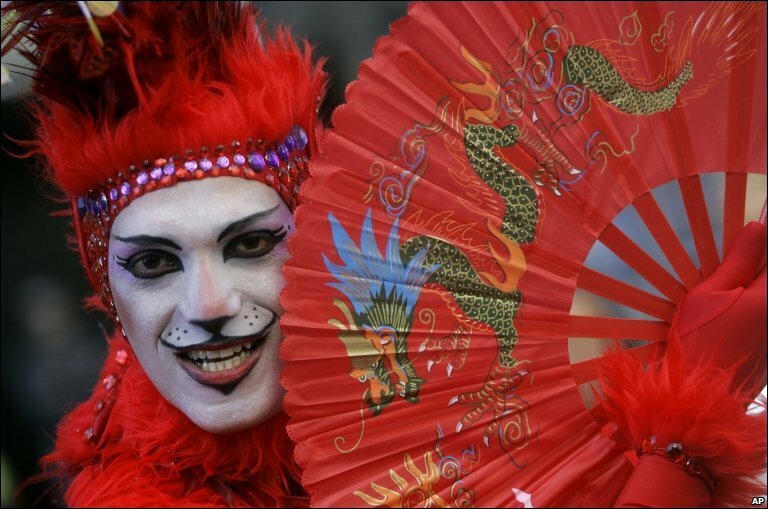 Lesbians, bisexuals and transexuals also took part in what was Sao Paulo's 14th gay pride event. The march was financed by Sao Paulo's state government and the oil company Petrobras. 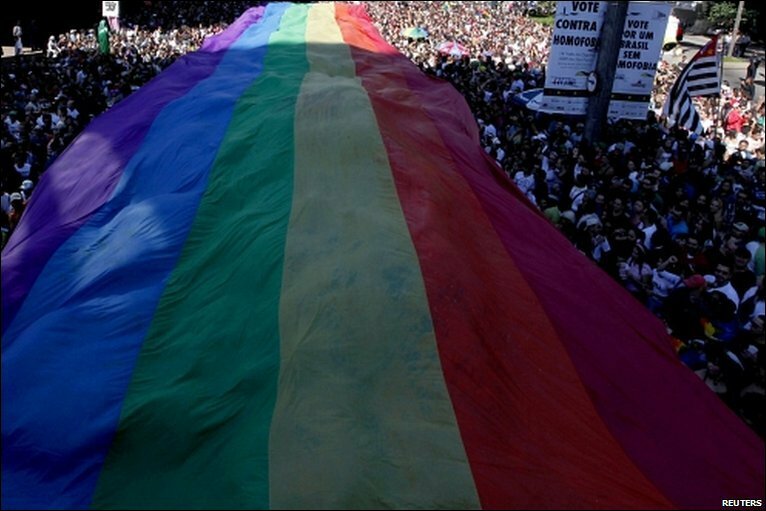 The march had a political theme, with campaigners urging Brazilians to "vote against homophobia" in October's presidential election. 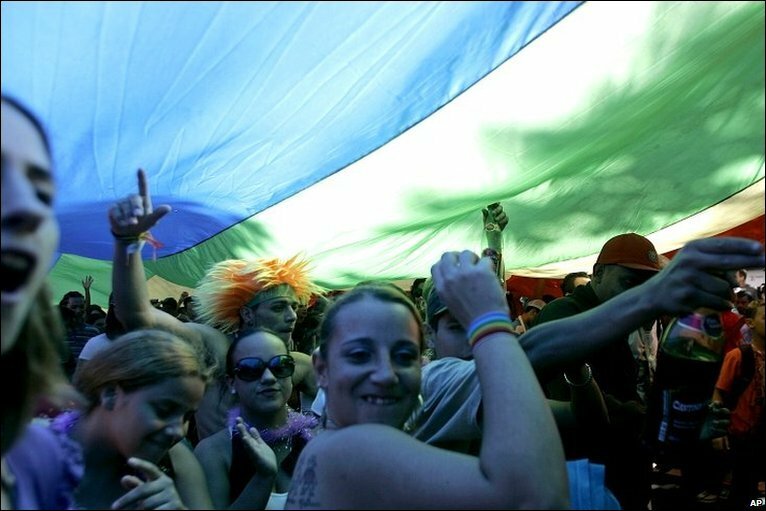 Gay rights campaigners say that although Brazil is generally open in its attitude to homosexuality, homophobia is widespread. And in true Brazilian fashion the revelry was set to carry on late into the night.